Everyone feels the need to get up and move during the day, and Flock supports that need for spontaneity and interaction by enabling greater productivity throughout an entire environment. Where People Migrate. Everyone feels the need to get up and move during the day, and Flock supports that need for spontaneity and interaction by enabling greater productivity throughout an entire environment. Flock’s collection of tables, seating, ottomans and lighting are modular elements that help people connect virtually anywhere. Even the smallest settings can be designed to give users a place to get away from their workstation and get the job done stylishly and comfortably. 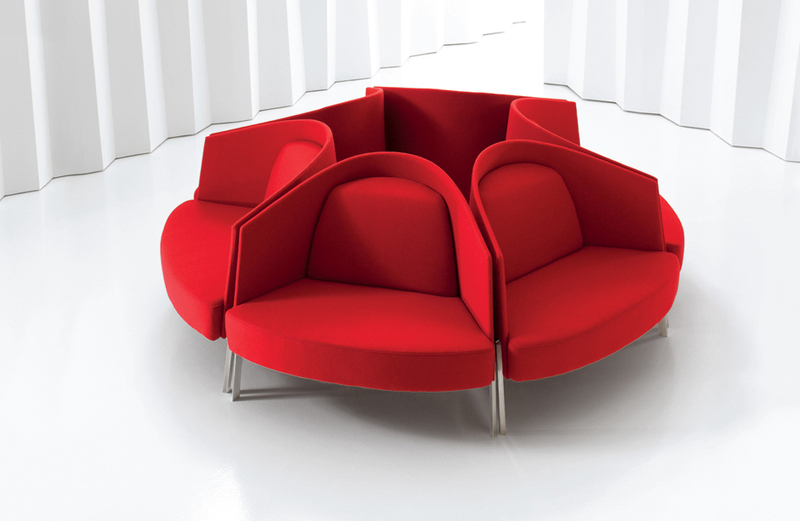 Flock’s focused family of products is designed to work together to turn any space into a social, collaborative area. 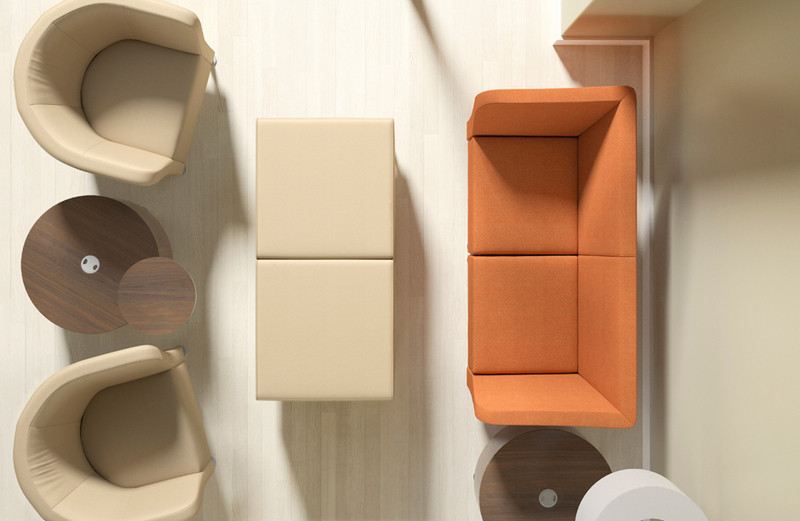 Wherever people migrate within a space, Flock is designed to support collaboration. 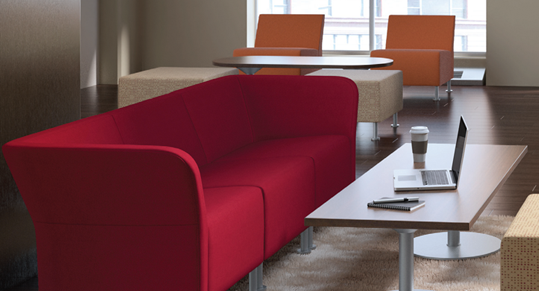 Flock Collaborative Solutions work together seamlessly, enabling you to make the most of every square inch of your space. 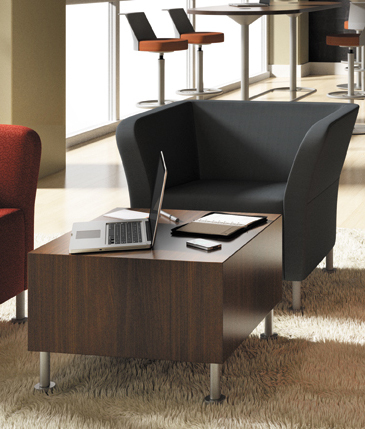 Flock creates an environment of how people want to work and where they want to work. The solution you’ve been waiting for. 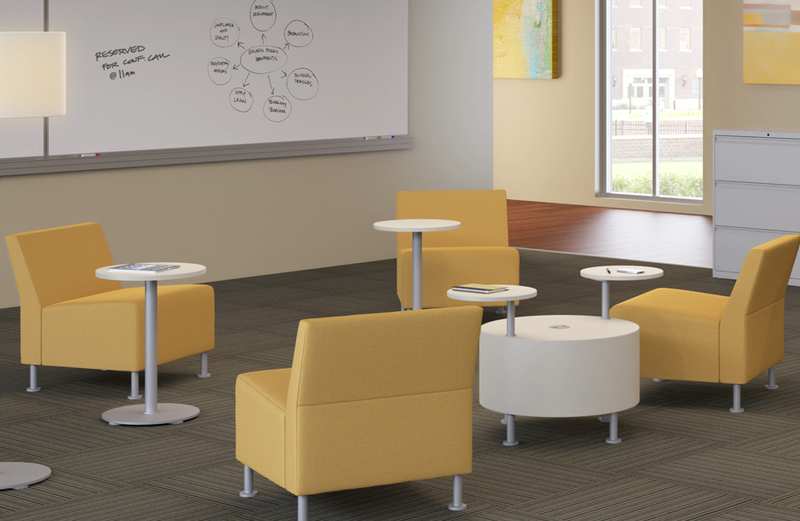 Welcoming areas are now versatile and dynamic spaces used for impromptu meetings, supporting collaboration between coworkers, or as a place to hold a small group meeting instead of reserving a private space.
. Interactions happen naturally throughout the day, and they are not limited to conference rooms. Workers need a change of pace from their dedicated workstation to communicate. 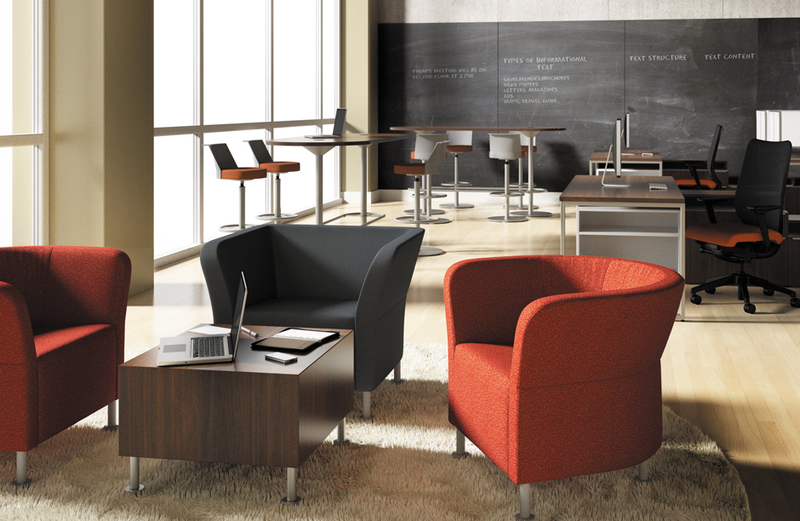 Collaborative hubs are located near workstations to support a quick shift from individual to group work. Big thinking for small spaces.